based on these 110 happy customer reviews.
" 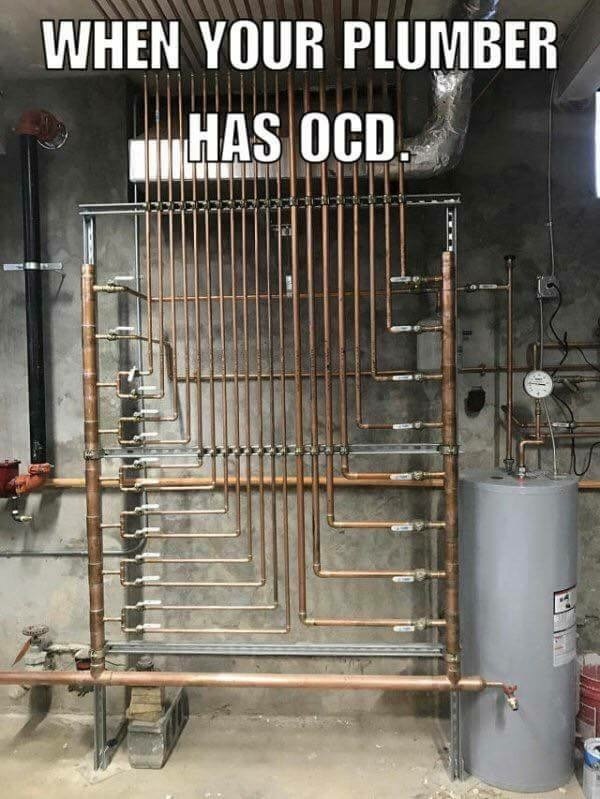 Expert, highly experienced plumber. Shoots straight. Very considerate and takes the customer's viewpoint in all service concerns." "My wife and I originally contacted Joseph for help installing a reverse osmosis, and we were wanting someone who had experience with this type of system. He did so with a good rate, great attitude, and was very helpful throughout the process. We intend to use A Perfect Fit Plumbing very soon to install a whole house filtering system, and to run a new water line to our refrigerator. I have never had a preferred plumber before, but from now on this will be the only company I use." "Joe was great! He arrived on time, calling ahead to let me know he was on his way. He got a layout of where everything was and explained it to me, without talking down to me, no question was too dumb. I have orangeburg pipe (horrible), but he explained the possibilities and what I could do in future if I needed to. He proceeded accordingly, to get my line draining the best way possible without damaging it. He was able to get my line moving again.The clog consisted of tree roots under my house and it was exactly where he said it would be. He tested it sounded great, the water was really moving. He explained what I could do to help keep it that way. He even checked on me the next morning to make sure everything was still good. I am very happy with service and would recommend him. Laundry is now done and I am not afraid of sewage back-up. Thank you Joe!!" "Joe was a very up front individual he wanted to make sure I understood each of my plumbing problems. He is a very upfront and honest individual. I have already referred him to a friend of mine that is needing plumbing repairs. Joe explained my issues as he repaired them. Thank you Joe!" "Joe was very professional and knew what he was doing. I had used another plumber for years and and I just didn't feel like I was getting good service him anymore so I tried Joe at a perfect fit plumbing and he was on time, very nice, and actually told me what to expect before he even started and he was spot on. I couldn't be happier and I will call Joe for all my plumbing and natural gas needs in the future." "If you're having any plumbing or gas related problems, do your self a favor and call Joe with A Perfect Fit Plumbing. Joe was referred to me from a friend and I couldn't be more happy with my now go to guy for all things plumbing and gas. Joe was on time, very personable and you could tell right away he's been doing this for a long time. Joe was very knowledgeable of all the issues I was having and knew exactly what needed to be done to fix it. I spent three days trying to fix a problem that he came and was able to fix in about 2 hours. He has all the right equipment and is honest and upfront about his pricing. You can tell he takes pride in what he does and it's nice to have found someone that doesn't try to push some sort of product or service I don't need. 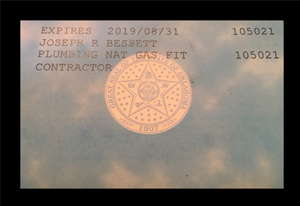 I couldn't believe that some people on here gave some bad reviews because this guy has earned my business and I wont be using anyone else for any of my plumbing or gas related issues. Joe-Your'e the man, Thank You, for all that you did for us and for getting our house back to functioning normal." "Joe did a fantastic job with a multi-faceted gas install job. He was upfront about costs, explained in detail the procedures, and was prompt and thorough with the job(s). He was a pleasure to have on the job and his honest communication about everything put us at ease. We will definitely be using him again!" "Joe did a great job for me at my home recently. Very professional, courteous, and most importantly he is honest, dependable, and hard working. He offered me solutions that fit my needs as opposed to just replacing my entire sewer system which did not need to be replaced. I will definitely recommend him to friends and family." "I went to google to find a plumber in North Oklahoma City and I came across Perfect Fit. My toilet in my commercial space was running constantly. He took most of the information he needed over the phone so that it cut down on some of my costs and he could have the parts in hand. I dealt with Joe, who i believe is the owner, and he was wonderful. Nice, easy to talk to, explained everything well, CLEANED UP WHERE HE WORKED (I feel like this is a big deal when dealing with plumbers) and told me about his one year warranty. I will definitely be calling him back when/if I have another issue. He was wonderful"
"I don't usually write reviews but felt I just had to express my gratitude. I am a single lady and I attempted a do it yourself project on a sink and quickly realized I was over my head. I called A Perfect Fit Plumbing and I am so happy I did. Joe is a very direct to the point TRUE professional. I appreciated his professional behavior and his honest approach to save me money and future plumbing problems. He did a wonderful job. He did not talk down to me cause I'm a woman as I had experienced with other plumbers in the past and his price was more than fair. I trust him to take care of all my plumbing problems in the future. I am recommending A Perfect Fit Plumbing to everyone I know who needs a super knowledgeable and true professional plumber." "I've had Joe out at my house multiple times, and each was a wonderful experience, consisting of quick and expert service, up front on pricing, and a great personal manner that made me feel more sure of who it I was calling out to work on my home. Made sure everything was cleaned before leaving, and made sure to have a detailed invoice for me at the end of it all. Would recommend to anyone looking for a great contractor to work in/on their home!" 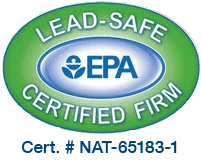 "We called Joe to install a valve on the gas line in the kitchen when we replaced our electric range with gas. He was here when he said he would be, was very polite and gave me options of how to proceed. He was efficient and updated me before connecting the stove. After the stove was connected and he had checked for leaks he updated me and showed me what he had done and what it should look like if we take the stove out in the future. Overall I was very happy with the job he did and the time it took." "Joe came out the same day I got in touch with him and provided great, timely service. He explained everything so I knew what was going on and went the extra mile to make sure my plumbing issue was resolved in whole. He was friendly and very knowledgeable. I will be using him henceforth for all my plumbing and gas needs!" "Joe is good people. He gave me a very fair price for some pretty tedious work. I would recommend him to anyone without hesitation." "Joe gave us some simple advice over the phone and I was able to fix our problem by myself! Some other plumbers may have gladly taken my money to swing by and fix the minor issue in five minutes but Joe was honest and we greatly appreciate it! Call Joe for all your plumbing needs!" "We brought Joe in to replace our kitchen sink; best plumber I've been involved with in several years! Told me a time he would be at our home couldn't make it and called telling us when he would be here and then a follow up call to make sure everything was working! Offered several options told me pro and cons of all, outstanding work very professional made sure everything was correct prior to leaving. Will definitely bring Joe back for future work." "Joe did a great job fixing everything i needed even with distractions like the power going out temporarily. He was very courteous and professional." "Joe was very professional and very helpful from the first time I called him. He did excellent work and made sure he kept me in the loop of the work and repairs he was doing. A+++ service and I would recommend him to anyone. Great contractors are out there and he is one of them." "What a great company to find! Unfortunately it is very hard to find good honest contractors and man did we hit the jackpot! They were so honest, told me the issues and gave me options to fix them. I completely trust them with all of our plumbing needs!! I hired them to install a dishwasher, garage disposal, kitchen sink faucet, re plumb under the kitchen sink, and correct leaking toilet and bathroom sink. Sooo happy to have found them! Highly recommend!!" "Very pleased with Joe's service. He was very polite and treated our home with respect and just a good guy overall. I was very comfortable working with Joe on such a big issue as our leaking upstairs toilet. He completed his work fast and also work around my schedule easily. I wouldn't hesitate to hire "A Perfect Fit Plumbing" for my next plumbing or gas issue. Thanks Joe!" "Joe is awesome. Timely, courteous, knowledgeable - willing to go the extra mile for 100% customer satisfaction." "Joe is GREAT! He is very professional and polite. He does a very thorough job. He got our drain issues fixed up in no time. Overall it was a wonderful experience and we will definitely call him again in the future." "I found A Perfect Fit through google reviews and one of the main things that attracted me to the business was everyone mentioned Joe by name. The last few plumbers I've had over have all been different people working for larger businesses, and all have been distant in their conversation and I would rather work with someone I can develop a rapport and familiarity with as I live in my house. I called Joe and we setup a time, but due to some confusion and problems with his phone services, I had to call 30 minutes after what I thought was our appointed time, only to find out a text I sent with my info had not gone through. So make sure you contact him if you do not hear back from to make sure he gets your info and you have your appointment down solid. He was able to make it over regardless, just an hour and a half later than we had originally planned, and I had a great experience with this very nice, knowledgable, totally approachable man. He was a little more expensive than other larger plumbing companies, but unlike them, he was very friendly, and was able to walk me through and explain in detail my plumbing situation, and I felt comfortable having him in my home. After he had fixed our laundry drainage problem, we shared some lemonade and had a nice conversation about our respective means of employment. Great guy, would definitely recommend. Looking forward to Joe coming back and fixing any future plumbing problems we might have." "Joe came out to my home twice to fix problems created by other craftsmen. He is professional, efficient, ethical, and a downright great plumber. I highly recommend him to anyone." "Joe at A Perfect Fit has been our plumber for almost five years now. He's been to our house to do everything from fixing a leaky faucet to replacing our mainline and fixing a slab leak. He's always explained the work he's going to do and has always been very up front and fair with his pricing. I've never had any problem getting ahold of him and I feel 100% confident in the work he does for us; every job has been done right the first time. A Perfect Fit is the only plumber I recommend to friends and family and the only plumber I'll let work on my house. I cannot recommend him enough!" "I refer all of my friends and family to use A Perfect Fit! I have a older home and have needed their services on several occasions and each time Joe has arrived on time, completed the work in a timely manner, and was mindful to keep my house (white carpet) clean. He has always walked me through the process and showed me his work so that I would have a better understanding of the work completed and why it was necessary. Having some knowledge of the plumbing profession it is obvious that Joe is a true professional and has extensive knowledge including all required codes. I have used other companies in the past that did ok work, but A Perfect Fit is by far the best plumbing company that I have ever used. Thanks Joe! YOU ARE THE BEST!!!!!" "Joe has been to our house on numerous occassions and has always been timely and professional. On each occassion we have been extremely satisfied with his service." "I have relied on Joe for over 3 years for my commercial and residential plumbing needs. Great problem solver with solutions that always meet code. He has great relationships with the city so when inspectors come, they know the job is done right. Easy to reach and reliable. If he says he's going to be there at a certain time, he'll be 10 minutes early. Over 30 years of experience and expert in the field...Probably a good reason why you see him on news channels regarding plumbing issues." "Joe was prompt and came as scheduled. He worked hard to solve our plumbing problems. He was quick to come out for a second visit when we had additional problems. We are very satisfied customers." "Joe and his apprentice were very clean and courteous. He had good communication with scheduling and what needed to be done!. I would use them again in a heartbeat." "Joe is incredible! You can tell right after meeting him he knows what he's doing. He came out to the house very quickly after contacting him. He's very personable and explains everything that's going on with your plumbing issues and what he plans on doing before he does it. He works with integrity and honestly cares that you are happy and confident with the work he has done. He leaves no messes behind. Joe even text me the next day after working all day with the number of issues I had and wanted to make sure everything was working properly. He also offered to come out and spend some more time on my plumbing for free in case I was still having issues. However, I didn't need him to because he had already taken care of it! He genuinely cares about his customers. Joe is a great plumber and a great guy! I highly recommend him and I'll be using him again!" "Joe is the best. Absolute best. I had no idea who to call and just read reviews online, and he exceeded my expectations. He even called a week later to make sure everything was still running perfectly. Highly HIGHLY recommend. I won't ever use another plumber!" "This company did a great job for us. We had several problems which needed attention. This company took the time necessary to complete the work and they did the job right! Thank you to A Perfect Fit Plumbing." "Joe came out to fix a pipe that was broke under the house and did a great job. I have had other plumbers out and they could not find nor fix the pipe. BUT Joe came out and got the job done. I have had more plumbing problems and Joe the plumber i call. HIGHLY RECOMMEND!!!!!" "I finally found a plumber that does great work and that I would highly recommend. Joe fixed my plumbing problems quickly and explained everything to me in a way that was easy to understand. His prices are fair and he doesn't try to sell you something you don't need. After several bad experiences with other companies, I am happy to have found a great plumber I can count on." "Excellent Experience. Incredibly knowledgeable and very efficient relative to his craft. Takes the time to explain his work and he backs it up with a one year guarantee. You really cannot beat a deal like that. Just a really hard worker and a really good dude." "Joe has by far been the nicest and most knowledgable service professional I've ever had to use! He walks you through everything he's doing so you don't feel like you're just getting a bill shrouded in mystery. I would recommend him, and have, to anyone. He was a frequent visitor to my friend's old home (LOTS of plumbing work) and she enthusiastically recommended him to me, so I'd say his word-of-mouth reputation currently has him as a plumbing legend in our books! 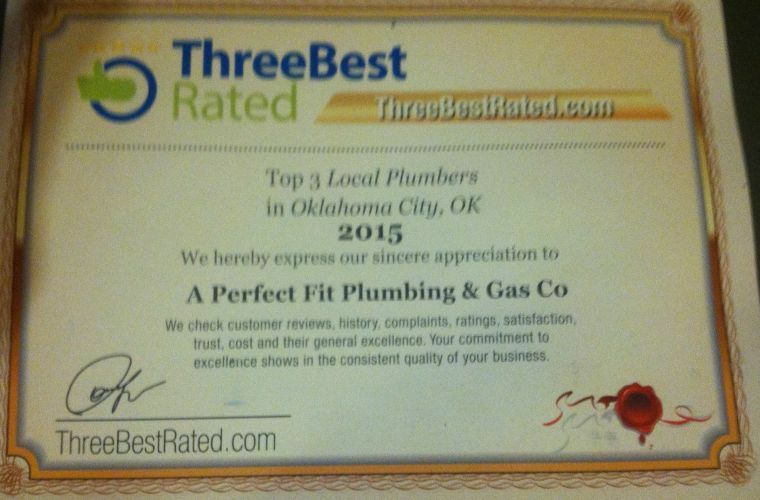 :)"
"Joseph Bessett is the best thing that's ever happened to the plumbing business in Oklahoma City. He is knowledgeable, competent, honest and informs you completely about what he's doing. This is everything you need to turn whatever you do into a profession, and that's what Joe is, a professional. We've had other plumbers, but A Perfect Fit is the best we've encountered, by far." "I highly recommend this company! Joe was always there right when he said he would be, and did everything in his power to make the process of an extensive plumbing repair as painless as possible. They work fast and do a great job. I'll use them from now on." "Unfortunately, the plumber I'd used for 20+ years passed away recently. In desperate need of a new hot water tank, I was forced to find a new plumber. After a brief search I located Joe with A Perfect Fit Plumbing. Joe responded quickly and professionally. He was able to schedule me within 2 days. Joe showed up on time and did an excellent job. He does not cut corners and his workmanship is top notch. He takes the time to thoroughly explain everything. Joe is a true professional. He is a courteous and entertaining guy. I highly recommend him." "Joe did a great job for me. He was professional and knowledgable about my drain problems. I will definitely be using him again and highly recommend his service." "Joe replaced a toliet for me, was neat and professional. Toliet works great." "Joe does a great job, explains everything, and cleans up afterward. I like that when you call, you talk to him, not someone else in an office. I have used him twice, and plan to use him again this week." "Joe was courteous, professional, and very knowledgeable. He arrived on time, discussed the options of my project with me in a way that was very easy to understand, and finished the job efficiently and effectively. I will definitely be calling Joe again if I need any type of plumbing work completed in my home, and will be recommending his business to my friends!" "Joe is fast, clean and on time. He is very knowledgeable in his field. He also checked back with me to see if everything was going well." "I've had many service people out to my house over the years and man I wish I would have found Joe at A Perfect Fit Plumbing and Gas sooner!! This guy really knows what he's doing and lets you know what he's doing the whole time he's at your house. He did an impeccable job for a fair price and even called to check on his work a week later! Great Guy, Great Job. If you have a plumbing issue and don't call Joe, you're pretty much wasting your time." "I don't know what Jessica's review was about, I never had any issues with A Perfect Fit Plumbing & Gas Co, I had a leak under my house and I don't have a big crawl space, but Joe climbed right under there and fixed the leak. This is the 3rd time I have used this company and no one compares to the quality of work, professionalism, and the money that I have saved using A Perfect Fit Plumbing & Gas Co. Thank you Joe, you and your crew are awesome." "Came home to a plumbing issue and called Joe because of all the other good reviews. While he was not able to come until the next morning, he was able to diagnose the problem over the phone and told me what needed to be done. I was able to take care of it on my own, saving me a lot of money and inconvience during the night.. I will definintely keep his phone number handy for the next time when I can't fix it." "I found Joe online and after reading the great reviews I called him up. He was on time and very knowledgeable about what we needed. It was a great experience. We would definitely use him again!" "A Perfect Fit is a great company with great service. Joe doesn't lolly gag or slow around. He came to my house, got the job done quickly, and explained the problem. Their rates are fair and cheaper than the rest hands down. I HIGHLY recommend them." "Joe was very knowledgable and professional with his work. I will be using him again for any plumbing problems and I highly recommend him to anyone else." "The plumber who replaced my water heater, Joe, clearly is a consumer just like me and you. He knows the value of a dollar but will not attempt to undercut his work just to get a bid. He was courteous, on time, and not only explained everything he was going to do and any changes or adaptations, but was proud to show me his work. There were no surprises and everything was spot on. The city inspector took no time giving the installation his stamp of approval. If you want the job done cheaply (quality wise), don't call Perfect Fit. If you want it done right, based on my experience, you don't need to look anywhere else"
"This was by far one of the best experiences I have had with service professionals in my home! Joe was on time, very professional and knowledgeable, and did an excellent job fixing my plumbing issue. From start to finish he discussed what he was going to do and gave me options to make sure that the project would be completed to my satisfaction. His rates were also extremely reasonable! Don't be fooled by those other companies that profess to be able to do everything you need all in one stop---Joe is the real deal and a true professional! I highly recommend him to anyone who needs a job done right the first time." "I had my home converted from propane to natural gas in June 2013. Joe and Jake (his helper) did a superb job from start to finish. Joe was very informative and explained everything down to the final step. Work included cap off gas lines for pressure test to be inspected by the city, installed a new hot water tank and got everything ready for ONG. I didn't do a lot of pricing around because my first visit with him was enough to tell me he knew how to do the job right. AND the cost wasn't as high as I thought it might be. I highly recommend "A Perfect Fit Plumbing and Gas"!!!! "Joe and his apprentice installed a water line to our fridge, he was effecient and very knowledgable. While he was at our home we also had a additional issue with our A/C drip pan overflowing; He drained the pan and cleared our drainage line. Overall, he provided excellent service and we will use Perfect Fit Plumbing again!" "Joe and his crew are fantastic. We've used them multiple times, both for our own house and our rental property, and have been highly satisfied. Easily the best plumber that I have ever worked with." "Ive been a home owner for awhile now and i went through alot of plumbers.i called a perfict fit plumbing and we talked and just by talking i knew this person knew what he was talking about.so they came out and fixed my problem and gave me updates on what they were doing.VERY professional.I will definitely refer them to anyone,and will use them from now on.very fare on the price to.I got my moneys worth with them.I didnt regret calling A Perfect Fit Plumbing company." "Joe Bessett at â€œA Perfect Fit Plumbingâ€ is definitely A PERFECT FIT when it comes to plumbing. Joe is my go to guy from now on whenever I need plumbing done. I had Joe come out and replace my entire plumbing system. Joe, was extremely knowledgeable in everything that I asked about and was able to give me options in order to save money. With me being a know it all, since I watch the DIY channel, Joe took the time to explain everything he was doing and why, all without making me feel like I was intruding on him. If you want a top-notch plumber, and want to be sure it is done right the first time. Joe at a Perfect fit Plumbing is the man to call. He was always on time, honest to a fault, Very knowledgeable in his field, Always Polite and Considerate, and when he was done he took the time to be sure everything was cleaned up to where I almost didnâ€™t even know he was there, except for having my system working again. Joe â€“ I canâ€™t thank you enough for everything you did for me and my family, it is nice to find someone that cares as much about their work, and takes the time to be sure everything is done correctly the first time as you do. " "Joe was prompt, polite, and efficient. He was everything the other positive reviews stated. Additionally, he outshone any other service providers I've ever hired in a couple ways: he brought earplugs for each member of our family to use during a loud part of the work and he called the morning after completing the job to make sure we were happy with the work." ""A Perfect Fit" Plumbing & Gas is the perfect fit for my needs. Joe is extremely knowledgeable and trustworthy. From the initial consultation, I knew I had found my plumber. I will definitely be using him when it comes time to finish my basement." "Mr. Bessett did a great job for us. A Perfect Fit Plumbing and Gas has done several jobs at my home. He was prompt and professional. I am happy to say the jobs where completed quickly and Joe does very clean efficient work, I highly recommend A Perfect Fit Plumbing and gas"
"Joe Bessett at â€œA Perfect Fit Plumbingâ€ is definitely A PERFECT FIT when it comes to plumbing. Joe is my go to guy from now on whenever I need plumbing done. I had Joe come out and replace my entire plumbing system. Joe, was extremely knowledgeable in everything that I asked about and was able to give me options in order to save money. With me being a know it all, since I watch the DIY channel, Joe took the time to explain everything he was doing and why, all without making me feel like I was intruding on him.If you want a top-notch plumber, and want to be sure it is done right the first time. Joe at a Perfect fit Plumbing is the man to call. He was always on time, honest to a fault, Very knowledgeable in his field, Always Polite and Considerate, and when he was done he took the time to be sure everything was cleaned up to where I almost didnâ€™t even know he was there, except for having my system working again.Joe â€“ I canâ€™t thank you enough for everything you did for me and my family, it is nice to find someone that cares as much about their work, and takes the time to be sure everything is done correctly the first time as you do." "Joe has proven himself to be honest, reliable, knowledgeable and completely reasonable. He does quality work by the book. No cutting corners here. I have found my go-to guy for my plumbing needs (not to mention all the other services he offers)." "I highly recommend A Perfect Fit Plumbing and Gas. My outdoor faucet is old and was leaking. He arrived when he said he would, offered multiple ways of fixing the leak and explained the process as he was going. He also gave advice that would allow me to correct some of the smaller problems without having to call him out again. Joe is a professional businessman as well as an expert plumber - he will be the only person I call from now on." "Called Joe today asking for a price quote to look in a shower drain for a lost ring. He was very knowledgeable, answered my question and suggested I try to hook up a shop-vac to the PVC pipe. I tried that, no ring, but his help was great and I thank him for the idea. If he is this honest and great over the phone I bet he is great at the actual job site." "I am very happy to write that Joe from A Perfect Fit has provided my family with several services. He is always prompt, very clean and finished within the estimated time.. I highly recommend this company for all your plumbing and heating needs." "This company rocks! I called this morning because my main line was clogged and couldn't use the facilities. Joe was the only who could come same day to help me. He came the time he promised, and was very friendly, clean, and professional. He got the job done fast, and the cost was right on with what he quoted. He even gave me advice to avoid major disasters in the future. I would highly recommend A Perfect Fit to all of my friends/family/neighbors/strangers. I will most definitely use them again!!!! Awesome job!!!!!" "Joe came out for some non-emergency plumbing repairs. He was punctual, honest, informative and professional. We will not hesitate to call him for any future plumbing needs." "Joe is honest, dependable, knows his codes, and did a great job! Passed building code inspection the first time through. Would recommend to anyone wanting the job done right. Went the "extra mile" to insure the job was completed on time! Thanks Joe!" "A Perfect Fit Plumbing is the one to call when you need a great, honest, and trustworthy plumber. Before starting, Joe explained to me, in layman's terms, how he was going to solve our problem (we had a hole in the water pipe). It was pretty much an all day (10am - 6pm) job, as he had to bust thru our kitchen floor to get to the pipe. He kept me informed every step of the way and allowed me to critique his working during the process. Thank God I trusted him and his ability because I had no idea what I was to be looking for in evaluating his work. In addition to the quality work he provides, he also provides an honest price." "Joe did a great job for us. Prompt, friendly, and informative. He did exactly what he said he would do, when he said he would, and was reasonably priced as well. Will use again and recommend to others often." "This company is awesome ...I can't say enough good things about this team ...I even received a follow up call the next day ....I enjoyed working with them so much I can't wait for something else to break so I can call them back out ." "Wow! I told him about my dishwasher/garbage disposal issues and he told me pretty exactly what he thought the problem was, but when I told him where I lived he said he wasn't registered to work in Del City... but he continued to ask questions about my problem, gave me some possible causes, and even referred me to a repairman in my area! He took the extra time to help me even though he couldn't do the work... THAT is amazing service!" "Very professional and knowledgeable. Came quickly and worked hard to clear a blocked drain in my kitchen. I will most definitely use Joe in the future!" "Joe is a flashback to the past when customer service was the proper way to do business - professional, prompt, gave courtesy calls, experienced and knowledgeable, cleaned up after himself, conscientious, taking care of his customers. He came in to fix what another plumber had messed up which was leaking somewhere under my floor and also to get a green ticket on a water heater that only received a "partial" approval from the city 2 years ago - but the original plumbing co would never come back. Unlike previous "disappointed" comment, spending the $300 to accurately locate the leak saved me $$$$$ in repairs to try to find the leak which was not only in my floor but also in my wall. Well worth the time and cost!! (By the way, this money didn't even go to Joe but to another company who actually pinpoints the leak). Worked with me to get water heater completed and kept in communication with me. Had never used him prior to this call but I will highly recommend him and whenever another problem occurs at my home, he will be the first one I call." "Excellent plumber! Joe is honest, hardworking, excellent work product, polite, courteous and conscientious. He does an excellent job of diagnosing what is wrong, explaining the problem and then solving it. Prices are very fair. This is not a plumber who will gouge you with unnecessary work or pad his labor or material charges. I have used Joe for multiple projects and plumbing problems." "I highly recommend A Perfect Fit Plumbing. Jo showed up at my house exactly when he said he would and stayed on target on his time and cost estimates. No surprises. He did a fantastic job replacing a decorative faucet in my kitchen. He left no mess and everything was perfectly done. I asked him about an issue I was having in my bathroom and he actually crawled under the house for me to provide me with an estimate and to confirm that the issue was what he suspected. I will be having him back out to make that repair. When you are looking for quality work, timeliness, honesty and integrity, look no further! His fees are very reasonable given the quality of his work and trustworthiness." "Joe showed up on time, was very polite and hung around after the job was finished to answer questions about the drain he had just unclogged and a future remodel I'm planning that will require some plumbing. I could tell he takes pride in his work and does a good job. I plan on using him again." "I've spent years looking for a reliable and honest plumber. Based on the reviews I read I decided to give A Perfect Fit a try. Joe showed up exactly on time (in itself a pleasant suprise) and listened as I explained the problem. I had a leaky outdoor faucet, but it was an ancient model with a (what I thought was a) 14" rod. Per my request he repaired the rod perfectly, when we discovered it was actually stripped inside the pipe. We then discovered it was a 10" pipe, causing a trip to the store. Joe then crawled under the house and spent 30 minutes cutting and replacing the pipe. He then repaired my leaking sink, and fixed my garbage disposal that hasn't worked in years within a minute (he could have easily told me it was broken and charged me to replace it). He was here for almost 4 hours. Under the house labor costs more, and he only charged me for the actual minutes he was under there. Tax, 4 hours of labor, and parts for 3 plumbing jobs cost me $400, a great price for the best service I've ever had from a plumber. Joe has made a customer for life in me." "After having my sewer line snaked multiple times in the last year, I knew it was time to have it replaced. After multiple bids in the thousands I called Joe. Not only was he reasonable, he was honest and did a great job. He got the job permitted through the City. That proved to me he had nothing to hide and would do the job right. Joe came around 9AM and had us up and running by early afternoon. If you want honesty, integrity and a job done right, call Joe at A Perfect Fit and you'll never call another plumber. Thanks Joe!" "Sitting in our house we hear water gushing, Argh!! Sewer back up! Thank goodness we have a home warranty right? WRONG! We got the run around for a week from these people. They sent out 2 plumbers from 2 different agencies (Not A Perfect Fit) these plumbers wouldn't even check to see what the problem was. Just told me it was a back up and left. The Second plumber was dishonest, telling the home warranty company he did something that he didn't even do! The city came out twice only to tell us it wasn't on their end and left. We had enough! ; We did what we should have done in the first place. We called A Perfect Fit. We had to have a cleanout put in which was going to be a big job because our lines were 5 feet underground! Joe wasn't put off by this; he explained exactly what was going on, what they could do to fix the problem and took the next step of getting the problem fixed. Even getting the city out to see that there was in fact, a problem on their end as well, something the city couldn't see when I called them out twice, because they didn't have the camera. A Perfect fit fixed us up! You don't realize how important plumbing really is, until you are living with sewage in your home for a week, We can't thank A Perfect Fit enough. We will need to replace the sewer lines soon (something we would not have known until it was too late, if it werent for Joe. )His company will definitely be the company doing this for us. We won't mess with the home warranty again, it was painfully obvious that they use Cheap companies that only want to do a quick fix if it isn't quick and easy they want no part of it. I said before and I will say it again, A Perfect Fit is our plumbing company from here on out! " the time to explain and advised me of the best solution to resolve the problem. For sure I will call you when I ready to get my plumbing problem fixed. "A PERFECT FIT IS EXACTLY WHAT THE NAME IMPLIES. I RECEIVED GREAT SERVICE BY KNOWLEDGEABLE PEOPLE. I WILL USE THEM FOR ALL BY PLUMBING AND GAS NEEDS." "A Perfect Fit provided friendly, fast, quality work at my home on 2 separate occasions. I highly recommend this company for all your plumbing and gas needs. " "After having my sewer line snaked multiple times in the last year, I knew it was time to face the music and have it replaced. After multiple bids in the thousands I called Joe. Not only was he reasonable, he was honest and did a great job. He got the job permitted through the City. That proved to me he had nothing to hide and would do the job right. Joe came around 9AM and had us up and running by early afternoon. If you want honesty, integrity and a job done right, call Joe at A Perfect Fit and you'll never call another plumber. Thanks Joe!" "My AC drain pipe was clogged and flowing over onto the floor. A Perfect Fit answered my phone call (no leaving messages), and came out within a short time, especially considering it was an "emergency call". He even called to let me know when he was on his way! The drain pipe was cleared, and the condensation pipe examined and re-sealed in a clean and timely manner. He explained what he was doing, was honest and very courteous. These days, it's hard to know who to trust... I would recommend A Perfect Fit!" "Joe and Steve came to my house to do extensive work inside my home. We had a belly in the main line in our home. Joe had to dig a 20 foot trench through my living room. Joe made sure to protect the rest of my home, as much as possible, from all the dust. Joe also made sure that any mess that they had made was cleaned up every time he left my home. I was qouted over 20k by another plumbing company, Joe came in at well under half of that cost. Joe is very polite and was always working while he was in my home. You may have to wait a little bit for him to get to you but you will not be sorry that you waited." "Joe did a fantastic job in a timely manner. I couldn't be more happy with his work and professionalism. He responded quickly and did the work in a timely manner at a very reasonable price. I would definently use him again." "Joe and Steve came out this morning to install a line for my ice maker. They did a fantastic job, worked quickly and exceeded my expectations. These guys are very professional, take pride in their work and have now secured their position as, "my plumber."" "These days it is hard to find service work without having a technician try and talk you into needing additional unecessary work done. Joe at A Perfect Fit was up front about his pricing, and explained the process behind all of his work. More importantly his work is of high quality and fairly priced. 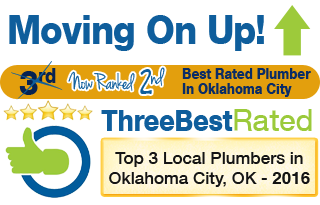 Thank God for decent honest people like Joe...because I know first hand others in Oklahoma City will inflate costs and give bad service...not at A Perfect Fit Plumbing!" "Honest plumber that knows what he is talking about. He was able to come out the same day and snake my drain line for a fair price. Will definitely call if I have any future plumbing problems." "Joe is a very professional, honest, hard-working serviceman. Great job on the hot water heater install." "Mr. Bessett was very professional and did an excellent job. He explained the entire process and left the work site very clean. I would recommend him to anyone and will surely call him back for further work." I just want to say thanks for your efforts in figuring out the plumbing problem that I have. I appreciated that you took the time to explain and advise me of the best solution to resolve the problem. For sure I will call you when I am ready to get my plumbing problem fixed. "'A Perfect Fit' is exactly what the name implies. I received great service by knowledgeable people. I will use them for all my plumbing and gas needs." "'A Perfect Fit' has been to my house on two different occasions. They were on time and did quality work at a fair price. This should be your company for any gas or plumbing needs." "Great Service! They stand by their work!" "Very perosonable. Able to explain work to a layman." "Very professional. "A Perfect Fit" was able to identify, assess, and repair the problem quickly. We will call "A Perfect Fit" the next time the plumbing worked on." "I have been well pleased with your efforts in solving my plumbing problems that have come up over the last two years. Your ability to solve has been the most rewarding. However, I do appreciate your continued effort to always be courteous, personally clean and always leave the work area clean. I've called on you weekdays, weeknights, weekends and holidays and you've never failed to answer the call. It is this type of dedication to ones employment that this country was built on and it is so refreshing to be associated with one who realizes that.Thank you so much for your business ethics and desire to always do better. That's simply not seen much any more." "Joe, I just wanted to let you know that Colleen and I are happy that you are our plumbing and gas contractor. The pride you have in your work shows in every project you have done for us. There has been no task beyond your knowledge, or one too small for your attention. "I had quite a list of plumbing needs, the most crucial being the addition of a gas line to convert from an electric stove top to a gas stove top. The plumber I'd used in the past had retired so I started my search for a new plumber. I was very lucky to have contacted Joe Bessett at "A Perfect Fit". He was so polite, with true expertise in this field, and great customer service. I will certainly continue to use "A Perfect Fit" with any future plumbing needs. I trust Joe! I give him an A+." "Very friendly - clear about what needs fixing - fair - honest. This is an excellent company." "Joe and his crew came out to fix and ultimately replace a leaking toliet. He worked around my work schedule and an emergency out-of-town trip to complete the repairs. The cost of the job was fair and reasonable. Joe went above and beyond to help this single woman solve not only the plumbing problem but dispose of old fixtures. I would recommend this company to anyone needing an honest and knowledgeable plumber"
"Sitting in our house we hear water gushing, Argh!! Sewer back up! Thank goodness we have a home warranty right? WRONG! We got the run around for a week from these people. They sent out 2 plumbers from 2 different agencies (Not A Perfect Fit) these plumbers wouldn't even check to see what the problem was. Just told me it was a back up and left. The Second plumber was dishonest, telling the home warranty company he did something that he didn't even do! The city came out twice only to tell us it wasn't on their end and left. We had enough! ; We did what we should have done in the first place. We called A Perfect Fit." "I can not even begin to tell you the length that Joe took to make sure we were taken care of. He went over and beyond his call of duties; He went right to work to find out why we had this blockage. He had the right equipment to pinpoint exactly where the problem was. He pulled the toilet up and had a camera down our drains into the sewer line to show us the problem (something the other companies told me they couldn't do..)"
"We had to have a cleanout put in which was going to be a big job because our lines were 5 feet underground! Joe wasn't put off by this; he explained exactly what was going on, what they could do to fix the problem and took the next step of getting the problem fixed. Even getting the city out to see that there was in fact, a problem on their end as well, something the city couldn't see when I called them out twice, because they didn't have the camera. A Perfect fit fixed us up!" "You don't realize how important plumbing really is, until you are living with sewage in your home for a week, We can't thank A Perfect Fit enough. We will need to replace the sewer lines soon (something we would not have known until it was too late, if it werent for Joe. )His company will definitely be the company doing this for us. We won't mess with the home warranty again. I said before and I will say it again, A Perfect Fit is our plumbing company from here on out! It is hard to find a company that is Honest, Dependable and Hard working. We Found that with Joe!" "Joe came out to my house for a busted pipe and found other issues. Him and Zach were courteous and professional and even though they couldn't help me with my issue, not from lack of trying, they made me feel comfortable. I will definitely use them again and maybe they'll actually get to do some plumbing!" "Joe and Zach came out last week to fix a pipe. I am a new home owner and was very new to plumbing problems. Joe explained everything in detail and was very professional. He was very tidy and polite :) I would recommand if anyone has had a bad experience or needs a new plumber. Thank you Joe and Zach"
"I needed an enormous amount of plumbing done as well as needing a stove piped for natural gas. Joe was extremely professional and did excellent quality work. I would recommend Joe and A Perfect Fit for any of your plumbing needs."